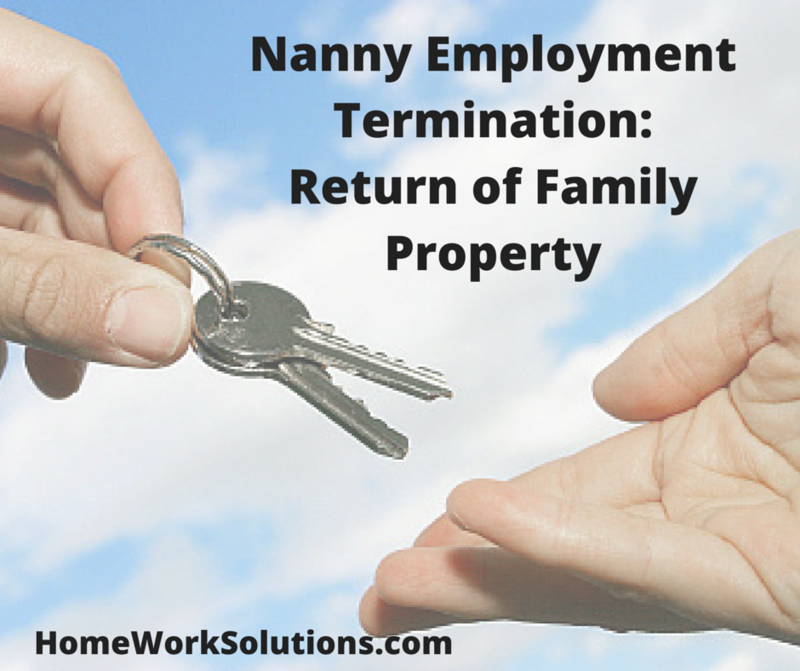 Household Employee Terminated: Returning Family Property? 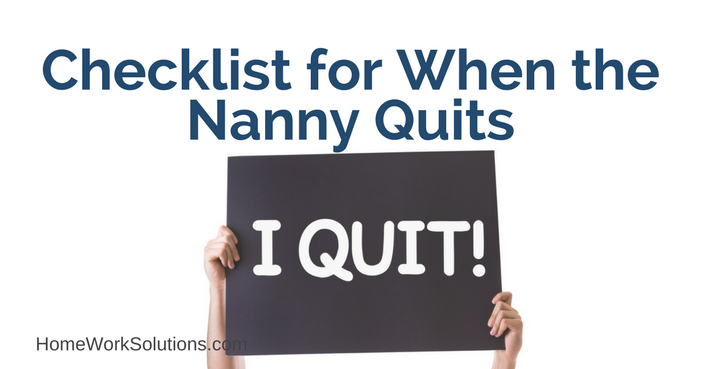 Parting ways with your nanny or other household employee can be difficult. It can be hard on your family who has likely become used to being with them every day and it can also be challenging for you as the employer to figure out what legal steps you’ll need to follow through with. If you recently terminated your household employee's employment – either abruptly or with some planning ahead of time – it’s necessary to remember the importance of returning family property. This is a big component to ending the working relationship and something that should not be forgotten or postponed. The US Department of Labor has introduced a new spartphone "app" to help hourly employees (nannies, housekeepers, maids and other household employees are ALL hourly under the Fair Labor Standards Act [FLSA]) track the hours they actually work. This is all a part of an effort to aide employees in independently tracking their work hours, independent of employer records, and will assist them in prosecuting claims for unpaid wages and unpaid overtime. The free app is currently available for iPhone and iPod Touch. According to the US Department of Labor's press release, workers without a smartphone may access the US DOL's Wage and Hour Division's printable work hours calendar in English and Spanish to track rate of pay, work start and stop times, and arrival and departure times. The calendar also includes easy-to-understand information about workers' rights and how to file a wage violation complaint. Both the time card app and the printed forms are available here. Failing to correctly classify non-exempt and exempt employees. This is the mistake investigators often target first. Household employees are non-exempt. This means they are required to be paid on an hourly basis, and that all household employees who do not live with their employers must be paid overtime. New York and Maryland extend overtime requirements to live in domestics - be sure you know your local rules and regulations. Failing to calculate overtime pay correctly. Misclassifying employees as independent contractors. According to the US Department of Labor's Wage and Hour Division [WHD], the "misclassification of employees as independent contractors is an alarming trend." Often, the WHD adds, "workers are deprived of overtime and minimum wages, forced to pay taxes that their employers are legally obligated to pay and left with no recourse if they are injured or discriminated against in the workplace." When the WHD finds cases of misclassification, it may refer the cases to state agencies and the IRS. Nannies ARE NOT independent contractors and employers who incorrectly treat them as such do so at considerable peril. Failing to pay for work during missed meal and rest periods. Wage-and-hour laws require employers to pay non-exempt employees for all time worked. Most nannies, and many household employees work without meal breaks or rest periods, and employers are required to pay for the time. If the nanny is not free to leave the premise on meal and rest periods, they must be paid. And when the extra time results in an employee putting in more than 40 hours in a workweek, the employer also owes overtime pay. Failing to pay for certain on-call time. If an employer engages an employee to wait to be put to work, the individual must be paid for the on-call time. Nannies who are required to be available during hours a child is in pre-school or in an organized activity such as sports practice session are considered on-call. Failing to keep required records. Federal law requires employers to keep accurate and contemporaneous time tracking records. So if there is a dispute with an employee about hours and pay and the employer is unable to show accurately recorded time records, courts will favor the employee's claims and records. This new smartphone app makes it easy for the nanny to track work hours. Taking unauthorized deductions from paychecks. An employer can only legally deduct from an employee's earned pay the amounts required or authorized by law (such as Social Security, income tax deductions, and court-ordered garnisheed amounts) as well as deductions authorized by the employee (such as deductions for insurance premiums and loan payments). Examples: A household employer cannot deduct amounts from a nanny or household employee's pay to cover damages to household property, including an auto provided for the nanny to transport the children or damage/breakage while cleaning, cooking, etc. And an employer cannot withhold a departing nanny's final paycheck as a way of collecting an amount the individual owes on a loan previously obtained from the employer -- unless the nanny has given authorization in advance. Failing to abide by state laws. States may have their own version of federal wage and hour rules. So employers need to be aware of and comply with the laws in the states where they have employees.